Lawyers are liars!" This represents the view of the larger population of society about lawyers. A view drawn from the conclusion that a lawyer’s duty is to misrepresent facts to suit his client for whom he intends to win at all costs. The position of a defence counsel in criminal proceeding is even the more precarious and is sometimes even seen as condemnable. Many wonder why an Accused person caught in the act of committing a crime should spend years on trial with the aim of "proving" that he committed the crime he was caught committing. Clearly, to these people, it takes a man without conscience or a sense of morality to be a lawyer to a “guilty man”. Despite these widely held views, a close inspection of a lawyer’s duty and calling vis-à-vis the rules regulating his professional conduct, makes it apparent that such views are misplaced and very far from serving the true object of justice. As a preliminary question, one may ask; under law, who is a guilty man? This question is succinctly answered by our most essential body of law: our constitution. Section 36 (5) of the Constitution of the Federal Republic of Nigeria 1999 (As Amended) Every person charged with a criminal offence is presumed innocent until proven to be guilty! In other words, under law, no man is guilty until he is proven to be guilty! This is the first rule upon which a legal practitioner is called to represent an Accused most would regard as guilty. A legal practitioner never represents a guilty man! He only represents an innocent man who may or may not be proven guilty! Whether a person was caught in the act may only lend credence to the ease with which his guilt will be proven, it does not in itself conclusively establish guilt. If this doesn’t make sense, then does it make sense that four young boys were gruesomely murdered by an angry mob who believed beyond doubt that they were caught in the act of crime, only to later find out they were innocent? Indeed, it only makes sense for this presumption of innocence to continue to free several guilty men than for the application of the opposite argument to lead to the condemnation of an innocent man. Therefore, there is no guilty man; only a man whom the law is trying to establish his guilt. In the process of proving his guilt it would be greatly unfair that Prosecution knows the law, the Judge knows the law, but the person to whom it is sought to be applied does not! It would be too much injustice to proceed from a temple of justice. To this end, the innocent man whose guilt the law seeks to establish, becomes entitled to get a person who also knows the law. A lawyer! However, what if the lawyer personally knows the Accused person is guilty? He is caught in between his job and his sense of morality. At this stage the conflict resolution for a properly trained lawyer is simple: He must be a lawyer! Not a lawyer that lies but a lawyer that is professional in conduct and guided by the Rules of his profession! Now let us look at what the Rules tell a lawyer to do in such situation.
" a legal practitioner is obliged to accept the brief from the client....(he) is not only bound to accept the brief, he should put his best in discharging his responsibilities towards the cause. The rationale behind this rule is that legal practitioners should not pick and choose briefs they should handle in court. As officers of the court, they are not at liberty to select the cases to appear in since the primary duty of a legal practitioner appearing in a case in court is to assist the court in arriving at a just decision. The fact that a case is unpopular or that a client has a very bad criminal record or public record or that the legal practitioner believes that the accused person is guilty, may not justify his refusal to accept the client's case. (This) ...cab rank rule is mostly applied in criminal cases to prevent accused persons from being denied legal representation by lawyers owing to their bad record... "
It is highly unprofessional therefore for a legal practitioner to reject a client’s case, and more particularly in a criminal trial, just because he believes the client is guilty. A lawyer’s calling is to render service to all. As a Medical Doctor should treat a patient before him irrespective of whether he caused his sickness or is a robber, a lawyer must render legal service to all before him and put his personal sentiments away when he acts professionally. While a legal practitioner is not to reject the brief of a “guilty man” on the grounds that he knows he is guilty, this should not be mistaken to mean that he has been placed with the burden of perverting the cause of justice. A legal practitioner for an Accused ensures a fair trial and in doing so has a duty to the court; the temple of justice before whom he appears as minister. He should only do what is honourably accepted in professional regards. "Every person accused of crime has a right to a fair trial, including persons whose conduct, reputation, or alleged violations may be the subject of public unpopularity or clamour. This places a duty of service on the legal profession and, where particular employment is declined the refusal of the brief or to undertake a defence may not be justified merely on account of belief in the guilt of the accused, or repugnance towards him or to the crime or offence charged… The following appear in bold relief: - 1. Every person accused of crime has a right to a fair trial. 2. Persons whose crimes are so heinous that they constitute a shock to the accepted norms of behaviour are also entitled to a fair trial. 3. A legal practitioner should not refuse to defend such people. 4. 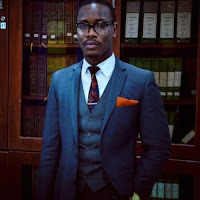 When a legal practitioner does accept such brief, and in fact any brief, he should urge any and everything that can be honourably urged in favour of the accused. 5. He should collect the facts, weigh them and put them across to the Court courageously and fearlessly. This is the advocate's noble duty to render efficient, honest and conscientious service; to put across his own side of the case with all the force at his command, so that the trial Judge would be able to consider both sides and decide where the justice of the case lies. 6. It is the paramount duty of a defence counsel to defend the accused - which means to ensure that an accused person is never left unrepresented at any stage of the trial. If counsel for the defence has obviously and scandalously not discharged his duty to the accused he is defending, I do not know how one can call the trial fair." By the ethics of this profession, the credo of which was clearly stated in Rondel v. Worsley (1967) I QB 443 wherein LORD DENNING MR, the greatest MASTER of THE ROLLS OF ENGLAND in this century observed as follows: - "As an advocate, he is a Minister of Justice equally with the Judge. He has a monopoly of audience in the higher courts. No one save he can address the JUDGE, unless it be a litigant in person. This carries with it a corresponding responsibility. He must accept that brief and do all he honourably can on behalf of his client. I say "all he honourably can" because his duty is not only to his client. He has a duty to the court which is paramount. It is a mistake to suppose that he is the mouth piece of his client to say what he wants or his tool to do what he directs. He is none of these things. He owes allegiance to a higher cause. It is the cause of truth and justice. He must not consciously mis-state the facts. He must not knowingly conceal the truth. He must not unjustly make a charge of fraud, that is, without evidence to support it. He must produce all the relevant authorities even those that are against him. He must see that his client discloses, if ordered, the relevant documents, even those that are fatal to his case. He must disregard the most specific instructions of his client if they conflict with his duty to the court. The code which requires a barrister to do all this is not a code of law. It is a code of honour. If he breaks it, he is offending against the rules of profession and is subject to its discipline. But he cannot be sued in a court of law. Such being his duty to the court the barrister must be able to do it fearlessly. He has time and time again to choose between his duty to his client and his duty to the court. This is a conflict often difficult to resolve and he should not be under pressure to decide wrongly if a barrister is to be able to do his duty fearlessly and independently, he must not be subject to the threat of an action for negligence." The above decision has been followed and adopted in T. Oseni v. Brossettee Nig. Ltd. (1981) Jan/March CCRCJ 310-320, The Shell Petroleum Development Company of Nig, Ltd v. Chief George Uzoaru & 3 Ors (For themselves and as representing the UMUNNAKA UKWU Village of OGUTA) (1994) 9 NWLR (Pt. 366) page 51, OPUTA,J.S.C. 's BOOK OUR TEMPLE OF JUSTICE. These past months, I have noted with concern that some lawyers have been intimidated by the media, and even booed at public fora for defending some persons in the “corrupt political class”. Such conduct by the members of the public is sheer ignorance and a betrayal of proper understanding of the calling of a lawyer’s profession. A lawyer as a professional does not and should not act on the sentiments of the public in the execution of his duties but should apply the law and ensure its application is proper towards his client in every case he conducts while upholding his most paramount duty to the cause of justice. A lawyer is not a liar, He only ensures the other party properly elicits the truth! “Counsel must be conscientious in the performance of their duties. They owe it a duty to assist the court to arrive at a just decision and they must not set out to confuse the court in order to satisfy their clients for a paltry sum. Unless lawyers perform their duties by the dictate of their calling and conscience, the public (layman's) perception of lawyers as liars will never change. I must state, and with all emphasis, that lawyers are not liars, but honourable gentlemen who are trained to assist litigants and the court. Their first duty is to the court as ministers in the temple of justice."